The Australian House & Garden International Seminar Series is perhaps Australia’s most respected annual line-up of both local and international design thought leaders. The 2019 program is set to be one of the most inspiring to date. As technology has broken down traditional barriers and formed unexpected new communities, we now truly are living in what Marshall McLuhan famously called “The Global Village”. 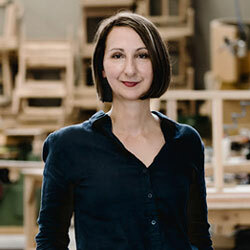 Curated by Skye Rytenskild, Decor + Design’s Content Director, in collaboration with Australian House & Garden magazine, the 2019 program will explore international and local influences on Australian design, and what it truly means to be part of a Global Village. Be inspired by Steve Cordony’s glamorous interiors, with their European finesse and Antipodean palette. Join self-described ‘pirate’ and design buccaneer Sibella Court as she illustrates how her nomadic life has informed her impeccable taste. Peek inside American-Australian designer Diane Bergeron’s exquisitely layered and storied interiors, while Australian textile powerhouses Warwick Fabrics and Tigger Hall Studios will take you on a voyage around the world to visit their mills and artisans. Talk ‘Communities’ with style influencers Megan Morton and Stephanie Stamatis (aka Stephanie Somebody”) who will discuss how online communities can go far beyond ‘influencing’ and into our homes and hearts. 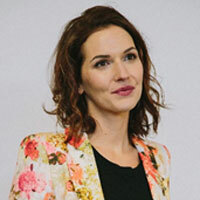 Victoria Redshaw from UK Trend Futurists Scarlet Opus will once again bring her prescient eye to international trends in her 2020 Macro Design Trends Forecast. We’re also delighted to welcome global travellers Cortney & Robert Novogratz, as our 2019 International Keynote Speakers. The LA-based interior designers have gained a huge following for their eclectic, vibrant designs and artsy, cool vibe. Meet us in the Global Village at this year’s Decor + Design. 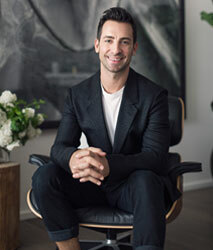 Super stylist Steve Cordony has made a huge impact on the Australian design industry. The ‘Style Director At-Large’ for Belle magazine is in hot demand for his suave interiors and events. He has created stunning work for both personal and corporate clients such as L’Oreal, Ralph Lauren, Waterford, Land Rover, Royal Doulton and Georg Jensen. Steve is also one of Australia’s leading social and digital interior influencers, known for his gorgeous styling on Instagram. Galvanise your creativity with this inspiring seminar from Steve, which will peel back the stylish layers of some of his recent projects, including the pastoral perfection of his recent Rosedale Farm renovation. Victoria Redshaw’s spookily on point Trend Forecasts have become a highlight of Decor + Design. A Futurist at Scarlet Opus, one of the UK’s leading Trend Forecasting agencies, her prescience is uncanny, consistently providing accurate insights for designers and buyers alike. We are excited to welcome her back in 2019. Join Victoria for a keynote seminar that will give you exclusive insights into the Macro Design Trends for 2020 and beyond. Victoria will analyse and interpret the international influences behind each trend and reveal the colours, patterns, materials, finishes and styles which will dominate room schemes and interiors products. Richards Stanisich is an interior architecture practice based in Sydney, with large and small projects across retail, residential, hospitality and commercial sectors. Their intention is simple: to create spaces that make you feel something. Formerly the award-winning duo behind SJB Interiors NSW, Jonathan Richards and Kirsten Stanisich have worked together for decades. Qualified in interior design and architecture, they are creatively passionate and technically brilliant. Richards Stanisich are a byword for doing things well. No short-cuts, novelty solutions or rushed decisions. They look beyond the space and take cues from the building, history, people and natural environment, for an ‘inside out’ approach. Join Jonathan and Kirsten in conversation with Robyn Holt, former Editor of Vogue Living and former CEO of Conde Nast Australia and Russia. This will be a stimulating session which discusses why designing with integrity isn’t just important for aesthetics…but for the world. The charming James Treble is an award-winning interior designer, TV presenter and writer with over 25 years’ experience in the building & design industry. In addition to his vast expertise and experience in the construction and renovation of new homes he is a qualified real estate agent, colour consultant and interior designer. 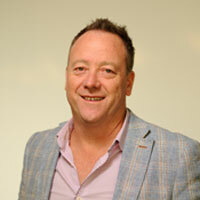 Well known for various roles within Australian Television over the past 8 years, he is currently the co-host of YourMoney – Auction Day, presenting 6 hours of live TV every Saturday, and has recently joined the cast of Open Homes on NINELIFE. This workshop is designed to give you an arsenal of practical tips to guide you in creating a cohesive home for you or your clients, from finishes to fittings. James always packs a lot into his presentations, this time sharing his design process in creating colour schemes and finishes schedules from the ground up, starting with the facade, then working right through the home, particularly focusing on bathrooms and kitchens. Join James while he shows you how to create mood boards and palettes to suit modern Australian homes, learning how to create a cohesive look with charm, whilst discussing budgets and focusing on where you should spend as well as where you can save. He will also share insights and images into some of his own clients’ homes and discuss how his selection process works. Whether you’re an experienced decorator or designer – or new to the field – this workshop promises to be hugely entertaining and a great opportunity to get hands on with James Treble! Internationally renowned interior designer and tastemaker Diane Bergeron hardly needs an introduction. The American-born designer carved out a career in New York before becoming a sought-after design presence in the Antipodes. Her work has consistently featured in publications including Architectural Digest, Vogue Living, House and Garden, Living Etc. UK, and Belle. 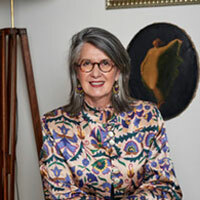 Diane’s extensive portfolio spans residential and commercial projects, fabric collections and a range of furniture in collaboration with Arthur G.
Join Diane in conversation with Tanya Buchanan, Editor-in-Chief of Australian House & Garden, as she takes us through her favourite design and entertaining secrets. Learn how to create the perfect Powder Room, set a divine Dining Table, beautiful Boudoirs and an exquisitely-layered Living Room, de rigueur for the perfect soirée! Diane will also share her exciting new projects including her new American Greek revival home in coastal South Australia. This seminar will be an unmissable visual feast, with practical tips as well as lashings of style inspiration. 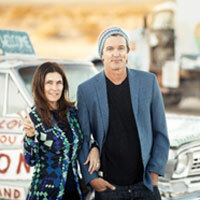 Husband and wife design duo Cortney & Robert Novogratz have designed and developed many unique properties in Manhattan, LA & beyond. For over twenty years, this fun, hip, artsy couple has rebuilt entire city blocks from the ground up and transformed them into fabulous spaces. With their brood of seven cool kids, these global travellers have been the subject of two TV programs – Bravo’s Designing Nine and HGTV’s Home by Novogratz. The Novogratz seamlessly cross boundaries, making them hard to classify as designers or developers. Their signature design is cool but never pretentious – it’s about family, colour, fun, dynamic art and incredibly liveable spaces. It also draws on influences and artisans from around the world. This is a unique opportunity to hear from two of the coolest cats in the design business and explore the Global Village of Design. Whether you’re a designer or store owner, your brand is more than just your logo. Social media has made it possible for businesses of all sizes to build a brand online, allowing potential customers to discover who you are and your promise. Whether you want to attract your dream client, build brand awareness, create irresistible offers or just stand out from the competition, a strong online brand is essential. Join Gina Ciancio for this interactive workshop where you will walk away with actionable ways to take your online presence to the next level. Discover authentic and organic ways to build your brand with credibility. 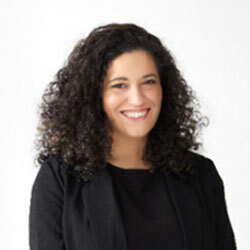 Gina Ciancio is the Editor of STYLE CURATOR, an award-winning Australian blog about the pursuit of a stylish home. She is passionate about sharing her love of design, architecture, decorating and homewares. Having recently finished the build of her dream home, she’s now tackling the never-ending job of styling it, while blogging and working with her interior styling clients. How to Create and Cultivate Yours! Megan Morton met Stephanie Stematis – i.e. “Stephanie Somebody” – very early on in the early Instagram days. Fast forward 6 years on to two very dynamic community-based businesses. Join this lively discussion that will cover womanhood, inspiration, creating online communities and most of all – cultivating them. Sharing stories is what these two women do best. Come listen to their separate but linked- journeys where no question will be off the table. Megan Morton is a renowned Sydney stylist who creates atmospheres that make people obscenely happy. Her work has been featured on the covers of glossy magazines all over the globe, including Elle Decoration UK, Vanity Fair, Vogue Living and Inside Out. She is also the author of four award-winning books and helms The School, a globally reaching classroom that connects people with their passions. Stephanie Stamatis (aka Stephanie Somebody) started out as an interior designer and worked in commercial interiors for six years. Her early adoption of Instagram propelled her career in a new direction with her huge community in tow. 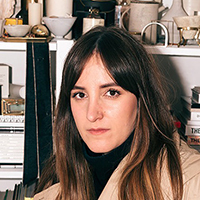 She has since become a renowned Stylist and Art Director lending her signature style to clients both commercial and editorial. Behind every beautiful piece of fabric there is a fascinating story. Join two Australian textile powerhouses for a storytelling session and visual feast, in conversation with Australian House & Garden magazine. From tiny communities in South America that have been saved by investment in artisans, to centuries-old mills in England, be inspired and moved by the global journeys of textiles. This session will explore Australian innovation, design inspiration, fabric trends and product development. Luciana Wallis is a textile designer and product developer who has spent the last 6 years at the legendary Australian textile house Warwick Fabrics, working with printers, dyers, weavers and suppliers worldwide to create their latest collections. 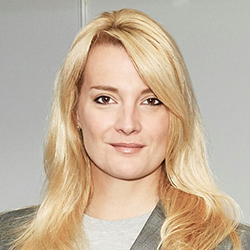 She annually travels to Europe and Asia researching upcoming trends, design and technology. With her love and passion for local talent and brands, Luciana also founded ‘Lilt Blog’ which is a website dedicated to Australian fashion, art and design. Tigger Hall worked as an Interior Designer for over twenty years, with work featured in Country Style, Vogue Living and Inside Out. Having always been drawn to fabrics, Tigger started her own textiles agency in 2008. She travels the globe to bring the most exquisite pieces to an Australian audience, with Tigger Hall Design a mecca for designers in search of meaningful pieces. Central to Tigger’s vision is the belief that beautiful textiles not only enhance our quality of life; they allow us to connect with the Global Village in which we live. Sibella Court sees the world differently. Join us for a magical session in which Sibella will draw on her unique worldview and teleport us to some of the more intriguing places which have inspired her work. 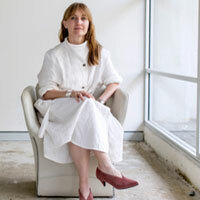 With a history degree and 25 years of industry experience, Sibella Court carries a bag of hard-won magic tricks which she weaves into her role as an interior designer, product designer, author, globetrotter and content creator. 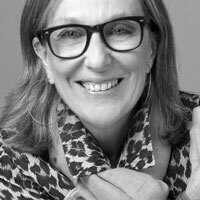 She has amassed a vast repertoire of editorial and advertising work. During her 10 years in New York, she styled for such powerhouses as Bergdorf Goodman, Jo Malone, Donna Karan, Anthropologie, West Elm and Saks Fifth Avenue, plus a wide array of magazines. Upon returning to Sydney, Sibella evolved into a sought-after designer, founding her shop and studio The Society Inc. Her commercial spaces include Palmer & Co, Mr Wong, Hotel Palisade, Ms. G’s, The Oaks, Upstairs at The Beresford, The Blue Room Bondi and many more. Sibella hosted the ABC TV’s popular program Restoration Australia, showcasing her passion for Australian history and celebrating the restoration of heritage houses. 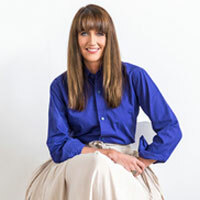 She has also penned a library of award-winning and best-selling books including Etcetera, The Stylist’s Guide to NYC, Nomad, Bowerbird and Gypsy, with her sixth book IMAGINARIUM released last year. Don’t miss this opportunity to explore the Global Village with the inspirational Sibella Court, who claims to be part Gypsy…part Pirate! From listening to music, watching movies, and running a reliable home wi-fi network to controlling lighting, security, HVAC, and communications, technology is everywhere in the modern home. But how do you minimise its intrusion into your interior design schemes and yet still provide your client with the comfort, convenience, and home entertainment that they expect? This workshop will give you practical advice and ideas on how you can hide technology, cabling, black boxes, switches, and more to successfully maintain the integrity of the home’s interior design scheme. You will see how TVs, projectors, speakers, amplifiers, control panels, and other hardware can be concealed within walls, ceilings, floors and furniture using a combination of automation, clever design, and, sometimes, both. Participants are encouraged to bring along real examples and challenges from live projects so that they can find out practical answers to everyday problems as part of this special workshop. 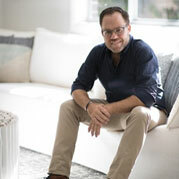 Rob Sanders is the Founder of Entertaining Environments, a high-end home technology integration firm based in Melbourne. With over 25 years’ experience, Rob is the driving force behind a company that designs, engineers, and installs contemporary technology solutions into luxury homes. Rob is a Certified Outreach Instructor for CEDIA, the global trade association, representing home technology professionals worldwide, and a former Director of CEDIA in APAC. Julia Green is a stylist, writer and founder of design powerhouse Greenhouse Interiors, which has become a leading destination for boutique textiles, homewares, fine art and interior styling services. Its creative team contribute regular editorial features to leading interiors and lifestyle publications in Australia and overseas. They also work with commercial brands and boutique artists from concept development to art direction, set design styling and wholesale distribution. Julia is known for her highly skilled and unique use of colour. If you’d love to learn how to create colourways that make a dazzling impact – while remaining impeccably tasteful – this is the session for you. Running a successful design business in a crowded market is tough. You need the best possible tools and access to the latest market information. Take the lead and stay ahead of your competitors with this practical, interactive workshop from industry leaders Houzz, which will teach you how to leverage consumer trends insights, the latest software and other tools to both amplify and streamline your design business. This in-depth session will be led by Tony Been from Houzz, who will grill an illustrious trio of design firm principals on what it’s taken to grow and scale their businesses. They’ll share from experience and offer advice for building infrastructure, creating systems and expanding your brand. You’ll also meet ‘IVY’ – a community and business management tool for designers. 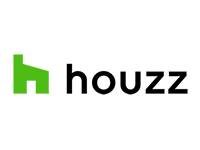 Houzz is the world’s leading online platform for connecting homeowners and home professionals with the best tools, resources and vendors. Don’t miss this opportunity to tap into their wealth of insider knowledge!